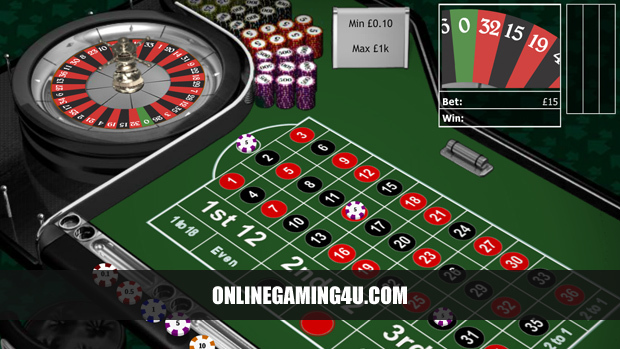 The online gambling industry is renowned for being amongst one of the most innovative sectors online. With casinos constantly pioneering new technologies, in a bid to remain one step ahead of the pack as a result of cut-throat competition across the market. One of the more popular upshots of technological developments in the industry is the advent of live casinos, as an alternative to regular casinos. Gamers are engaged in real-time casino play often with a video link to the casino floor, as opposed to competing in the solely virtual world. Aside from the immediate novelty value of live online casinos, the format has come to be preferred by gamblers of all abilities. 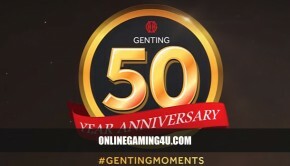 A real alternative to the traditional online gambling experience. Perhaps the key benefit of live online casinos lies in their added realism, and many gamblers cite the enhanced experience and excitement offered by a live casino as one of the key attractions. A live online casino is effectively a cross between a ‘real-life’ casino venue and a standard online casino. It attempts to recreate the atmosphere of live casino gambling on a players device. Players are usually linked to the casino table, with a live stream of the game-play as it unfolds. Players are also allowed to interact with the dealer through chat functions, and play against other real players across a variety of games. Live online casinos also bring one other key advantage over computer-simulated gambling. In a number of cases, computer-simulated games are operated by an underlying random number generator, over which the casino has full control. This allows them to set their desired odds and effectively build in their profit. In place of actually being able to deal each hand, or spin the roulette wheel, these programmes are the best online casinos have to offer. Despite the obvious distortions they create over live, real-time play. Depending on the online casino you choose, the odds may be more or, usually, less favourable than in real casino play, which ultimately slashes the chances of winning and stacks the odds more unevenly in favour of the house. With a live casino, however, the greater transparency of a video link and the elimination of random number generators creates a more traditional, level playing field. It allows you to follow the dealers every move as the game unfolds. 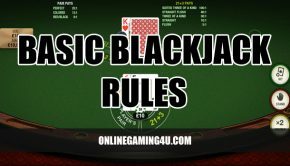 What’s more, with a variety of compatible games on offer, including blackjack, poker and roulette, live casinos remove the virtual element to provide more reliable, and ultimately fairer gambling. Live online casinos have become an increasingly more popular innovation in recent years. Made possible by both Internet technologies and individual gambler hardware improvements to cope with the more intensive requirements of operating live gambling. While maintaining a live casino feed throughout a particular game does require more computer processing speed, it nevertheless more closely simulates the feel of real casino gambling. Overall, it provides gamers with a direct link to the casino floor through their PCs or other device such as tablet, to enhance realism and improve the gambling experience. The majority of games played at live online casinos are table games. This is because some games such as slot machines, given their nature are made for playing online. Slots and video slots operate by spinning reels at the click of a button. Therefore, the entire concept of slot games uses number generators and algorithms by default, so they are impossible to play live. Even when you visit a local casino, slot machines are like computers sitting in the corner. There are no live dealers or actions required from anyone other than the player. Openness – Players can watch everything in real-time. Watch the dealer shuffle and deal the cards, spin the roulette wheel and announce end of betting. This guarantees fair gaming and peace of mind. Interaction – Interact with other players within the game, chat to the host and friends as you play the same betting rounds. Skill – Players can use their skill and strategies in live games such as roulette, blackjack, poker and craps. Another reason why roulette and blackack fans enjoy live versions of these games is that it eliminates the suspicion and doubt of number generating. When losing a particular betting round, often players get frustrated with casino games that are computerised over watching a loss live. Casino software providers supply casinos with software, often linked to a streaming webcam that gives you full access to a casino floor. Many live casinos are open plan, where you can see multiple games being played in the background of your game. Online casino sites usually operate a number of different game-rooms with up to 10 hosts at any one time. Each room comes with its own rules and limits. Small limits for players who like small bets, and larger limits for bigger stakes gamblers. If you like the idea of viewing real card dealers and game hosts spinning the roulette wheel, then live gambling could be for you. Most casinos employ English-speaking hosts that are lively and enjoy interaction with customers. Each dealer tends to do short-shift intervals so that they are constantly rotating games to keep things fresh. Players can talk back to dealers by typing in a live-chat box that they read and respond to. Live dealers, particularly in card games such as live blackjack, use real cards with real-time shuffling. Just as you would see in a local casino venue. Cards are often contained in a box, usually with multiple packs of cards. The dealer takes one card at a time from the box, sliding it out over a scanner so that the dealer, the player and the software knows what card is being dealt. Longer lifespan – live gambling games take longer than regular games. So the experience lasts longer and provides more satisfaction. Real Life Vs Computer – live games are played ‘live’, in real time. So there are no computers playing against you. Local Casino Venue Emulation – live table games are the closest thing to playing in a local casino venue. No Closing Times – live online casinos typically operate all day and night. Whereas local venues have closing times. Take a look at our live casinos guide for top sites offering live gambling and reviews of each provider. First published on 16th January 2013. Updated on 6th October 2017.